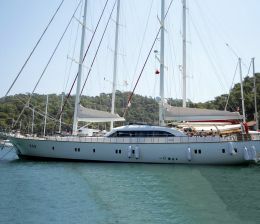 You might very well hire a fiberglass boat and enjoy the turquoise waters of soutwestern turkey if you have a yacht master licence, there should be no problem however if you love sailing but donot have experience thence you should go ahead and charter a crewed sailing yacht to enjoy luxury of a yacht while being pampered as our guest and feel the adrenaline rush with the wind. 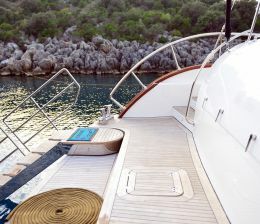 The new generation sailing yachts all comes in with latest technological advances and goodies such as hydraulic winches, furlings , in mast or in boom sails which is very simple to operate without getting sweat. we offer crewed sailing yachts with experienced and reliable crew who takes pride in serving the guests with utmost care and attention.